July 14 marks French National Day, or what English speakers call Bastille Day. It’s based on a celebration first held a year after the storming of the Bastille, but it can’t get away from the fact that the date traces back to an event of uprising and murder. To date, there is nothing I like teaching less than the French Revolution, which also occurs in my least favorite time period, the 18th century. The first time I taught it, I did all sorts of research to be better prepared, yet halfway through the lecture I realized even I was bored. The next year I cut the lecture in half, so at least it would be less painful. BTW, if you search “Bastille,” this is what Google gives you. The French Revolution has lost to a boy band. The storming of the Bastille has long been held up as a day the common Frenchmen rose up in the name of freedom against a despotic government. It fact, Louis XVI was quite the liberal and nowhere near as absolute in his power as his grandfather, Louis XIV, the “Sun King.” The French economy was in the toilet, and Louis’s answer was a land tax, meaning only the well-to-do would be paying higher taxes. And when, the Third Estate (the commoners) left the Estates General and formed a National Assembly, the king eventually ordered the other two estates (the nobles and the priests) to join them. There was a lot of nervousness in June and July of 1789. Soldiers had been brought in to quell riots, but a rumor started that the soldiers were going to attack the Assembly and citizens in general. The storming of the Bastille was for weapons, not liberation of political prisoners, although that was the spin eventually given to it. The governor of the Bastille eventually surrendered the Bastille. For his trouble, he was murdered, beheaded, and had his head put on display on a pike. Certainly plenty of things happened during the French Revolution. It abolished serfdom, limited the powers of nobles, put out a declaration of the “rights of man,” and more. But as far as politics were concerned, it was a mess. Emperor Napoleon. Isn’t this what they just overthrew? You see, once people got control of the government, they didn’t really know what to do with it. Running a country is hard. Moreover, it certainly wasn’t the average Parisian running it, despite the spin. Instead, they continued to be poor, often out of work and all the things they had been previous to the revolution. It was the upper middle class, the people one step down from landed nobility, who were in charge. But even they weren’t sure what to do, although cutting off the heads of those they thought were threats seemed like a good idea for a while. And then the guy in charge of the whole thing lost his head, and the whole thing lost it’s appeal after that. 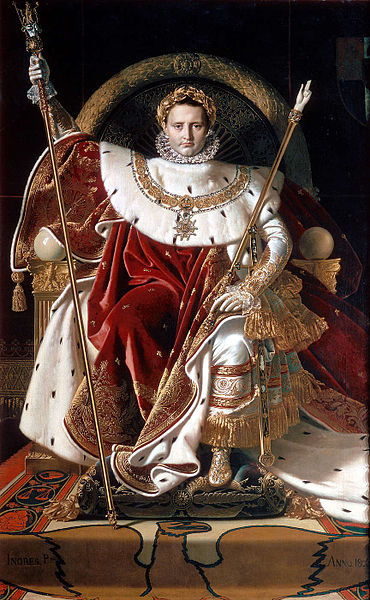 And then came Napoleon, who led a coup d’etat, ruled as a dictator, and eventually named himself emperor. And the same crowds who cheered for the death of Louis XVI thought Napoleon was awesome. Napoleon is eventually overthrown not by the French but by foreigners he insisted on warring with…twice. And still the French loved him. The victorious countries insisted France take a relative of Louis XVI to rule France as Louis XVIII (Louis XVI had a young son who theoretically inherited his dad’s position when dad was executed. He died before this could be put into practice, but he still gets a number). 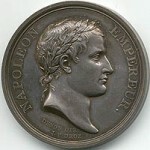 Not to put too fine a point on it, Napoleon crowned himself with golden laurel leaves. It overtly compares him with the emperors of the Roman Empire. And the French hated Louis XVIII. So they rebelled again, forming the Second French Republic. 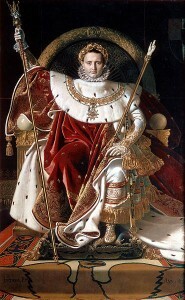 And then Napoleon’s nephew, Napoleon III (mis-numbering now becoming a habit) came to power…and the people loved him. And then he was overthrown by foreigners with whom he kept warring. In the span of 80 years, France had gone from monarchy to republic to empire to monarchy to republic to empire to republic. They were changing government that some people change socks. And this is why I am so completely underwhelmed by the French Revolution. Thank you for posting this – came across it through a search for James Gillray’s depiction of the Sans-Culottes.